Sometimes rain is cold and sometimes it’s bone-soaking cold. We made our Insulated Torrentshell for days of sideways precipitation and uncivilized temps. A 2-layer H2No® Performance Standard waterproof/breathable nylon ripstop shell, with a 100% recycled face, keeps the water out. The eco-friendly 100 g Thermogreen® insulation (92% recycled) keeps your heat in. The adjustable, insulated hood has a laminated visor that doubles as a rain spout, and 2-way pit zips help with venting. Pockets include two zippered handwarmers, lined with soft microfleece, and an interior zippered security pocket. 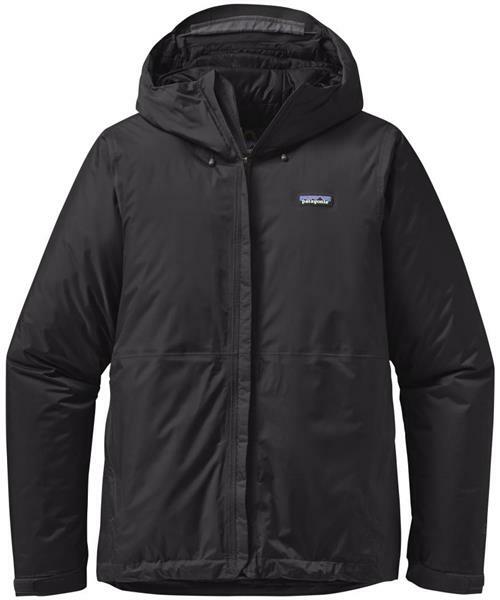 Hook-and-loop cuffs and a dual-adjust drawcord hem seal out the elements, while a simple cord-and-hook design allows you to stow the hood when the skies clear.